Born in Sweden to Swedish and Polish parents, Peter Jablonski studied piano and percussion at the Malmö Academy of Music, and later piano and conducting at the Royal College of Music in London. At the age of nine he appeared at the `Village Vanguard` festival in New York, receiving praise from the legendary Miles Davis. In his final year at the RCM Jablonski was invited by Vladimir Ashkenazy to record his debut disc with the Royal Philharmonic Orchestra for Decca, which launched his professional career. Since his debut in Washington DC in 1992 and at the Royal Festival Hall in 1993, Jablonski has performed and recorded with the world’s finest orchestras, including the Philharmonia, BBC Symphony, Philadelphia, Los Angeles Philharmonic, Leipzig Gewandhaus, Royal Stockholm Philharmonic, La Scala Philharmonic and NHK Tokyo. He has collaborated with such distinguished conductors as Vladimir Ashkenazy, Riccardo Chailly, Myung-Whun Chung, Charles Dutoit, Valery Gergiev and Esa-Pekka Salonen. His extensive discography on Decca, Altara Records and Octavia Records features award-winning releases and recordings of new works. Jablonski’s disc of Shostakovich, Rachmaninov and Lutoslawski with Vladimir Ashkenazy and the Royal Philharmonic went on to win the coveted Edison Award. His world premiere performance of Wojciech Kilar’s Piano Concerto, a work written for and dedicated to him, received the Orpheus Award at the Warsaw Autumn Festival. Jablonski’s recording of Liszt solo works on Octavia Records was awarded Disc of the Month in the Japanese Gramophone in 2013. His latest recording, Grieg Album, was released on Octavia Records in May 2014. He has also made a recording of Mozart and Beethoven concerti, directing the Swedish Chamber Philharmonia from the keyboard. Highlights of past seasons include recitals at the Queen Elizabeth Hall, as part of the London International Piano Series, at the Berlin Konzerthaus, Stockholm Berwaldhallen, Orchestra Metropolitana Lisbon, Seoul Arts Centre and Tokyo Suntory Hall, as well as in Munich, Istanbul and Santiago de Chile, plus concerto engagements with the Royal Stockholm Philharmonic, Finnish Radio Symphony, Warsaw Philharmonic, Brussels Philharmonic, Taiwan National Symphony Orchestra, Seoul Philharmonic, Tokyo Symphony, Zagreb Philharmonic, São Paolo Municipal Symphony Orchestra, Qatar Philharmonic, and the Mostly Mozart Orchestra at the Lincoln Center New York. Jablonski also performed at the Chopin and his Europe Festival with the Trondheim Symphony Orchestra in Warsaw, gave his debut recital at the Ravinia Festival in the USA, and toured with the Royal Philharmonic Orchestra in the UK. Last season included debuts with the Budapest Philharmonic Orchestra, Orquesta Sinfónica de Navarra, Lithuanian National Symphony Orchestra, Belgrade Philharmonic, and the National Arts Centre Orchestra Ottawa, as well as returns to the Presidential Symphony Orchestra Ankara and the Jalisco Philharmonic Orchestra, a recital in Toronto, a recital tour of Japan, and a return to the Royal Philharmonic Orchestra for a three-concerts UK tour. 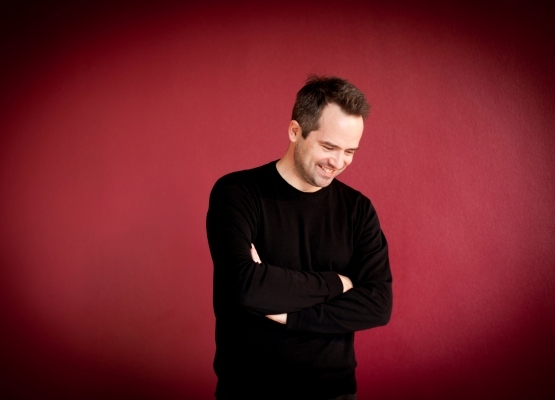 This season Peter Jablonski returns to the Slovenian Philharmonic Orchestra, the Istanbul Recital Series and the Presidential Symphony Orchestra in Ankara; he performs the opening recital of the newly founded International Piano Festival in Tokyo and makes his debut at the Manchester Piano Series at the Bridgewater Hall. In 2017 he tours Norway and Japan with the Arctic Philharmonic Orchestra, performing the Grieg Piano Concerto under the baton of Christian Lindberg. A passionate chamber musician, Peter Jablonski is the founder and Artistic Director of the Carlscrona Chamber Music Festival in Sweden.